Child-focused one-to-one approach with our sponsors for more than 40 years. As a child-focused development organization, ChildFund Japan believes in the intrinsic value of each child that inspires and drives us to serve them by providing opportunity to develop their full potentials, making positive changes for their future. Its history roots back to 1952, when it was established as a recipient body for ChildFund International (formally Christian Children’s Fund) sponsorship funds in support of Japanese orphans following the World War II. Individuals in America “sponsored” a war orphaned child living in child welfare institutions, the essence of sponsorship that inherited and continues to present. 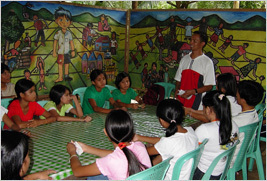 Since 1975, the work to support children was relayed by ChildFund Japan (formally Christian Child Welfare Association - CCWA) which has been working in the Philippines and Nepal to help deprived, excluded, and vulnerable children, families, and communities through meaningful, sustainable solutions. The essence of sponsorship approach is embedded in our organizational culture that connects people one-to-one. 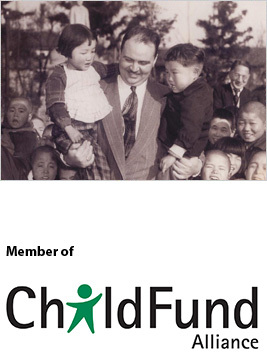 In 2005, ChildFund Japan was registered a Non-Profit Organization and became the 12th member of ChildFund Alliance. In compliance with the Convention on the Rights of the Child, we continue to serve impoverished children, families, and communities in education, healthcare, nutrition, and income generation areas through sponsorship, special assistance, and emergency relief and rehabilitation programs. ChildFund Japan is committed to promoting the rights of the child through international development cooperation in the spirit of harmonious co-existence. A global society that ensures every child the opportunity to develop their full potential. With support to the emergency relief from our global network organization, ChildFund Alliance, and around the country voiced immediately after the occurrence of the Great East Japan Earthquake on 11th March, 2011, ChildFund Japan decided to carry out the emergency relief in March 2011 and subsequent support to restoration of the disaster areas. With a base in Ofunato, Iwate Prefecture, the restoration projects focused on Community Development in Temporary Housing Complexes, Fulfillment in Children’s Lives, and Psychological Care of Children and Grief Work Program, which have completed in March 2013. On April 25, 2015, a powerful earthquake with a magnitude of 7.8 struck Nepal. 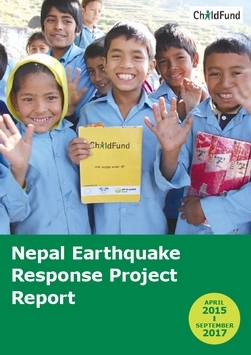 ChildFund initiated our emergency response in Nepal immediately after the earthquake struck and continues to support children, family and community in Sindhupalchowk and Ramechhap Districts, on the steep path to recovery. Through sponsorship program, ChildFund Japan provides holistic approach to facilitate healthy growth of every child and self-reliant community based on one-to-one relationship between a child and a sponsor. As of FY2017, 11 centers in the Philippines and 2 centers in Nepal of our own program and 2 centers in Sri Lanka in collaboration with ChildFund International have been assisted by 3,643 sponsors. Strategic components of the Sponsorship Program are child development, family development, and institution building to provide a long-term assistance with the goal of securing the community’s self-sustainability. 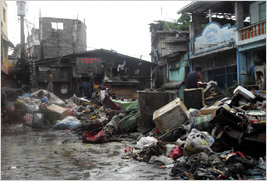 Special Assistance Program focuses on specific solutions to the poverty reduction. During FY2017, 2 projects in the Philippines and 1 project in Nepal have been assisted. Furthermore, ChildFund Japan was honored to have projects in Cambodia, the Philippines, and Nepal on behalf of an individual donor, Mr. Masaomi Hosono, who passed away on October 9, 2008. With Mr. Hosono’s and his families’ names on the plaque, 2 schools in Cambodia and 5 schools in Nepal had a new schoolhouse each and an education center was built in the Philippines. ChildFund Japan provides assistance for the emergency relief and rehabilitation programs for victims of natural calamities and internal conflicts in collaboration with ChildFund Alliance members. In cooperation with ChildFund International (formally Christian Children’s Fund), the emergency relief and rehabilitation programs were extended to the victims of the earthquake that hit Indonesia and Java and the tsunami in Indonesia and Sri Lanka. 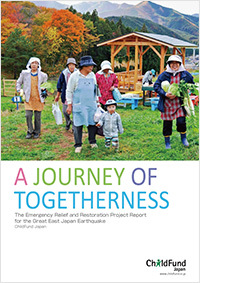 We are grateful that individual and corporate supporters of ChildFund Japan have acted as catalysts of our activities through charity events, donations, and other means and hope to further extend our “Tsunagari” (connecting people). As we celebrated the 20th anniversary of the United Nations General Assembly adopting the Convention on the Rights of the Child, ChildFund Japan continues to advocate survival rights, development rights, protection rights, and participation rights for all children. Do you have a question about ChildFund Japan or how you could help the children? Copyright © 2015 ChildFundJapan. All Rights Reserved.